Download "Presentation Outline. 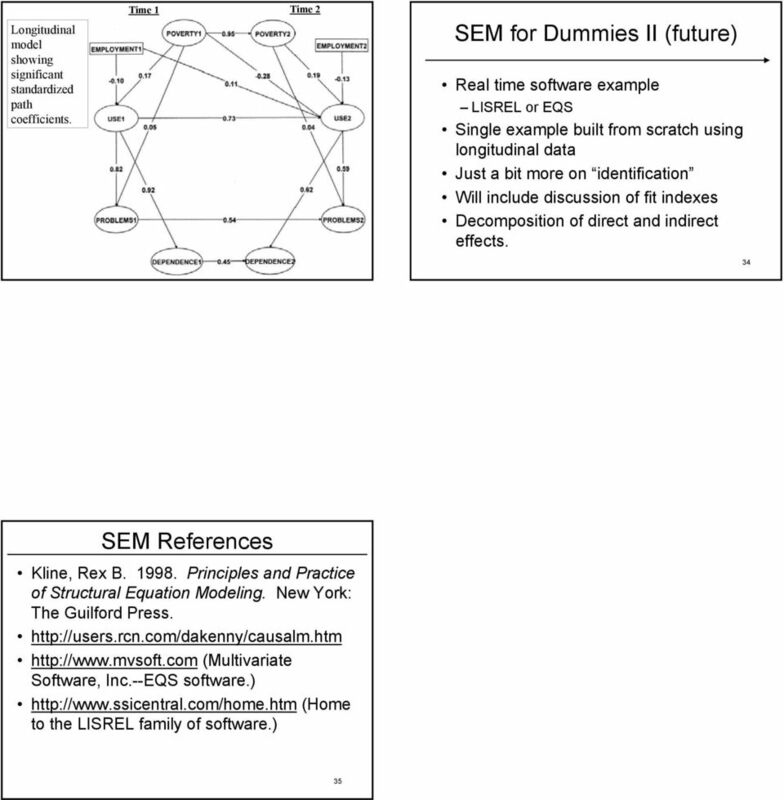 Structural Equation Modeling (SEM) for Dummies. 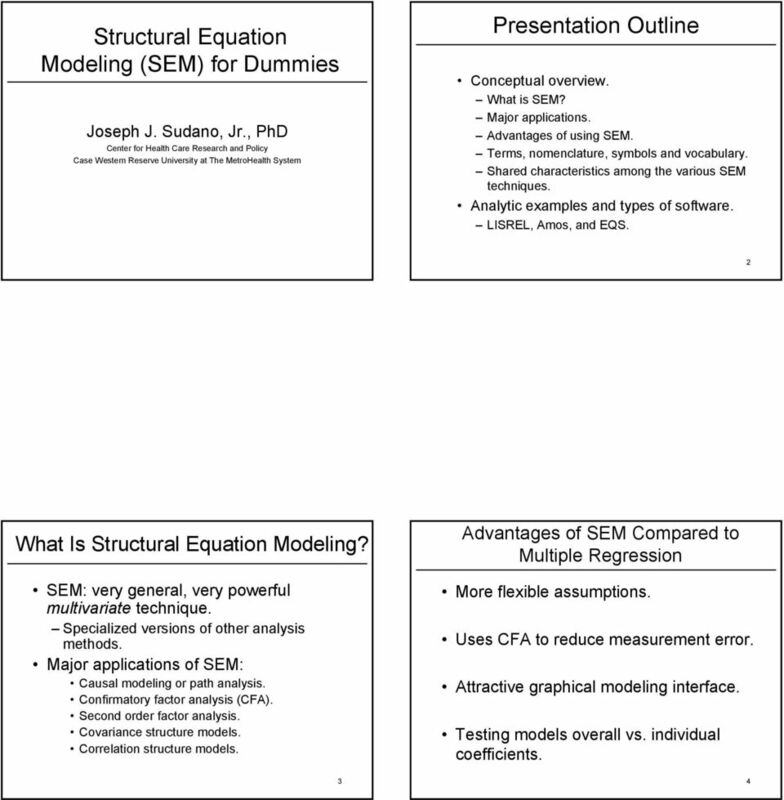 What Is Structural Equation Modeling?" 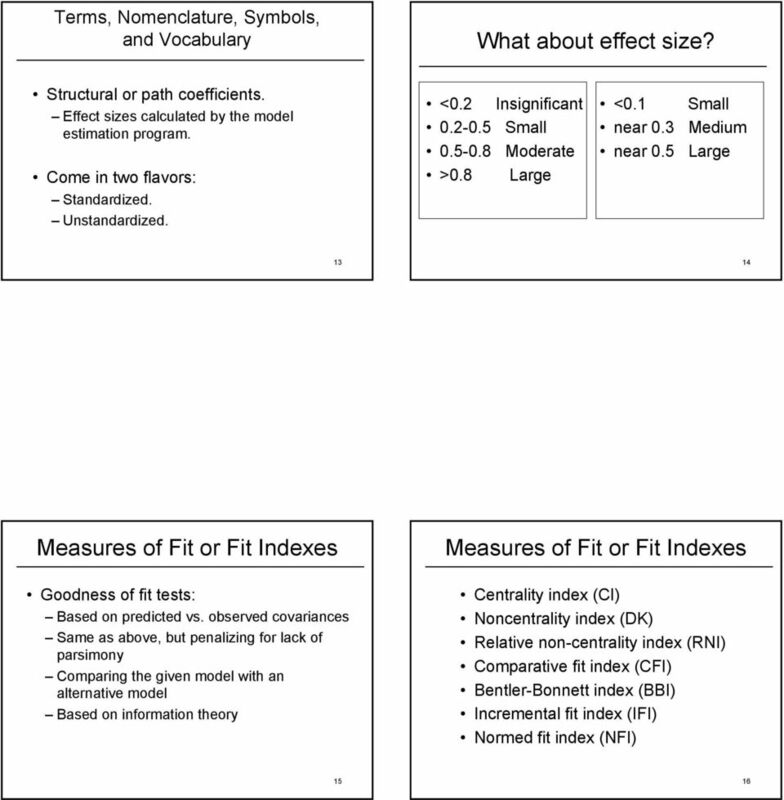 5 Measures of Fit or Fit Indexes Model chi-square Goodness of Fit Index (GFI) Adjusted goodness-of-fit index (AGFI) Root mean square residuals (RMSR or RMR) Standardized root mean square residual, standardized RMR (SRMR) Steps in SEM Specify the model. 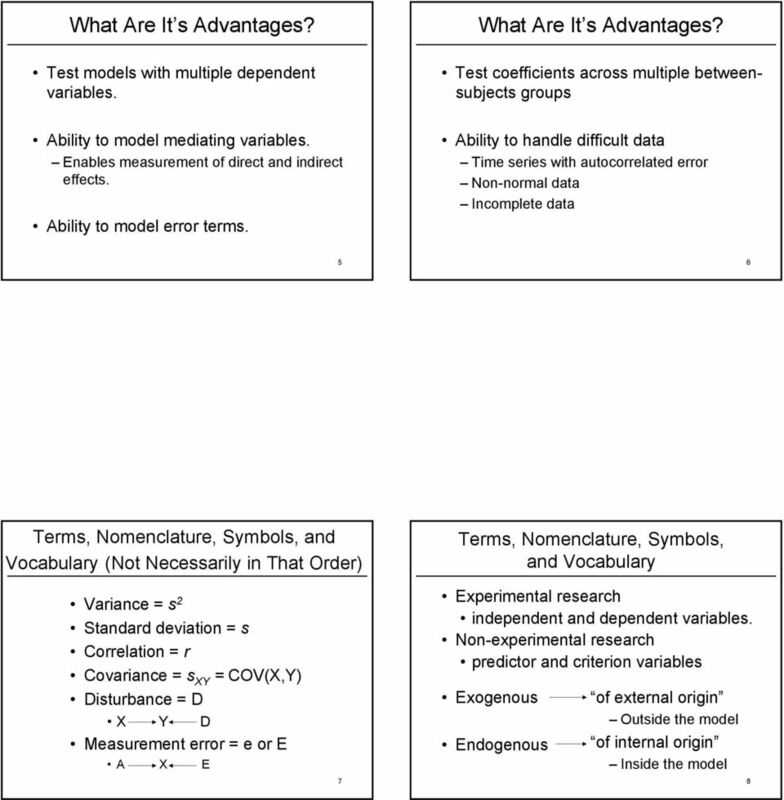 Determine whether the model is identified. Analyze the model. Evaluate model fit. 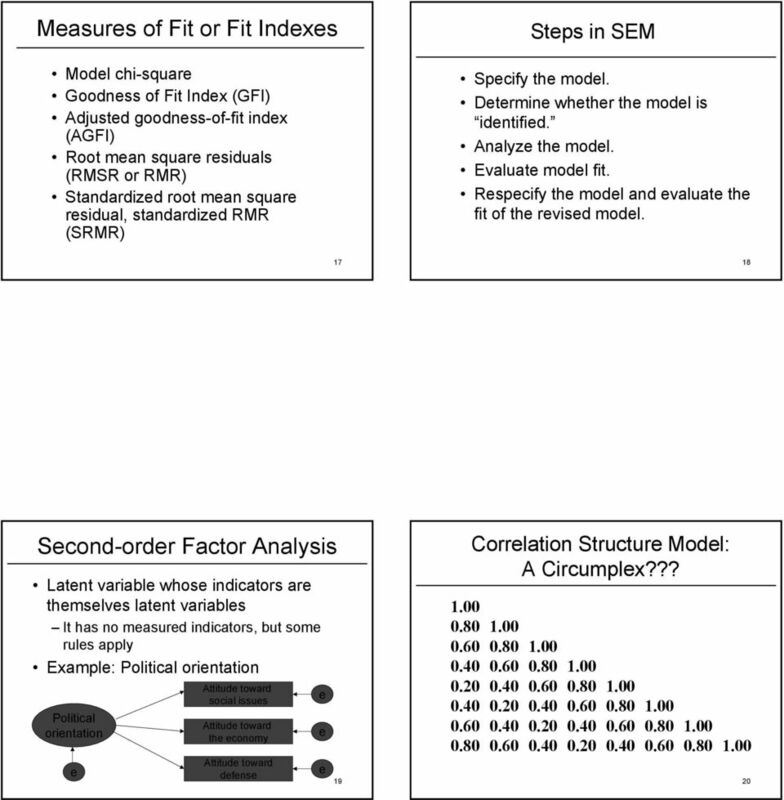 Respecify the model and evaluate the fit of the revised model Second-order Factor Analysis Latent variable whose indicators are themselves latent variables It has no measured indicators, but some rules apply Example: Political orientation Political orientation e Attitude toward social issues Attitude toward the economy Attitude toward defense e e e Correlation Structure Model: A Circumplex??? Social Media Marketing Management 社 會 媒 體 行 銷 管 理 確 認 性 因 素 分 析 (Confirmatory Factor Analysis) 1002SMMM12 TLMXJ1A Tue 12,13,14 (19:20-22:10) D325 Min-Yuh Day 戴 敏 育 Assistant Professor 專 任 助 理 教 授 Dept. 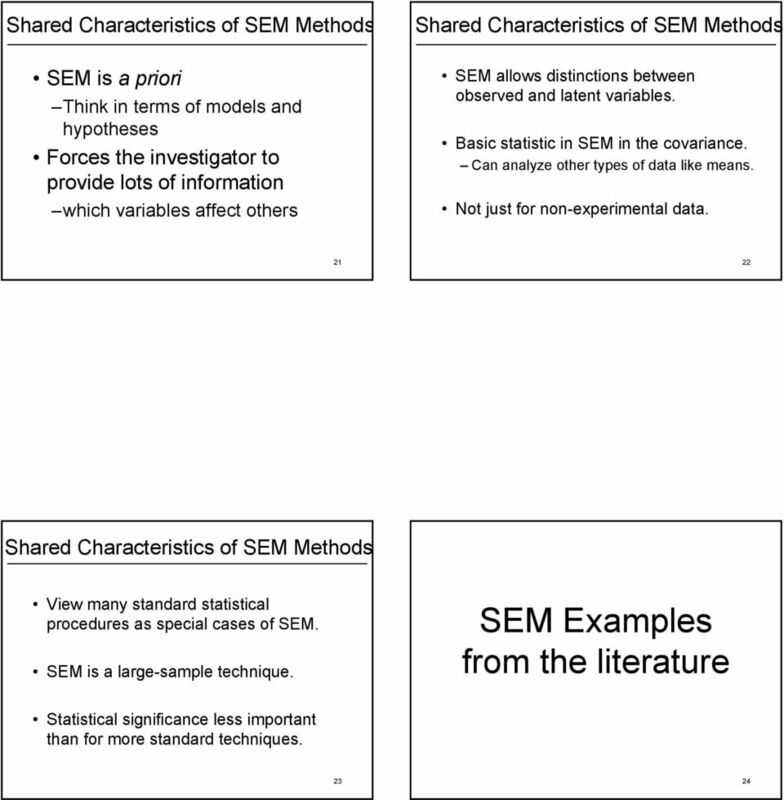 (SEM) Aims and Objectives By the end of this seminar you should: Have a working knowledge of the principles behind causality. Understand the basic steps to building a Model of the phenomenon of interest. 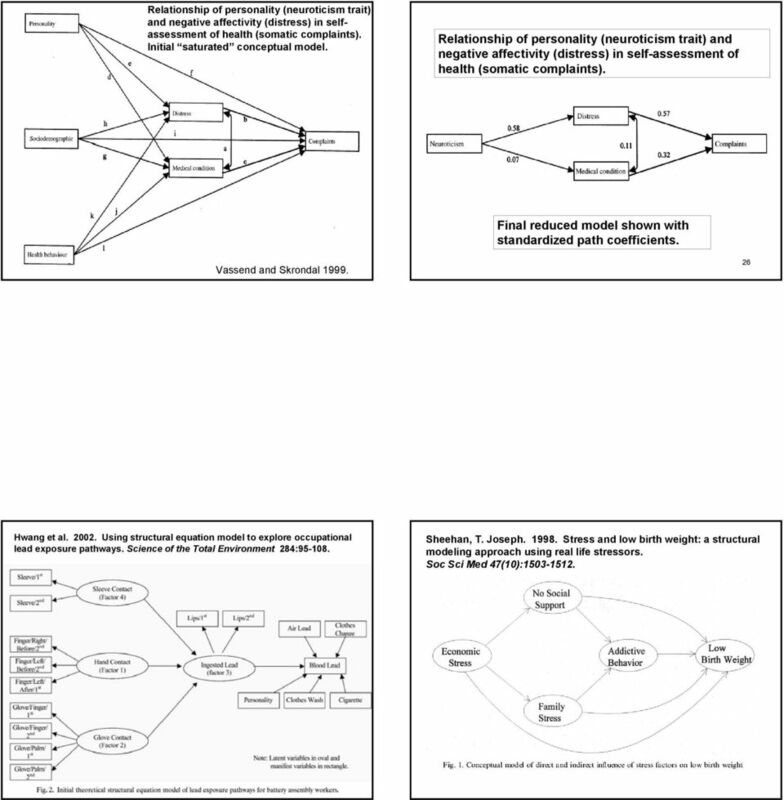 Analyzing Structural Equation Models With Missing Data Craig Enders* Arizona State University cenders@asu.edu based on Enders, C. K. (006). 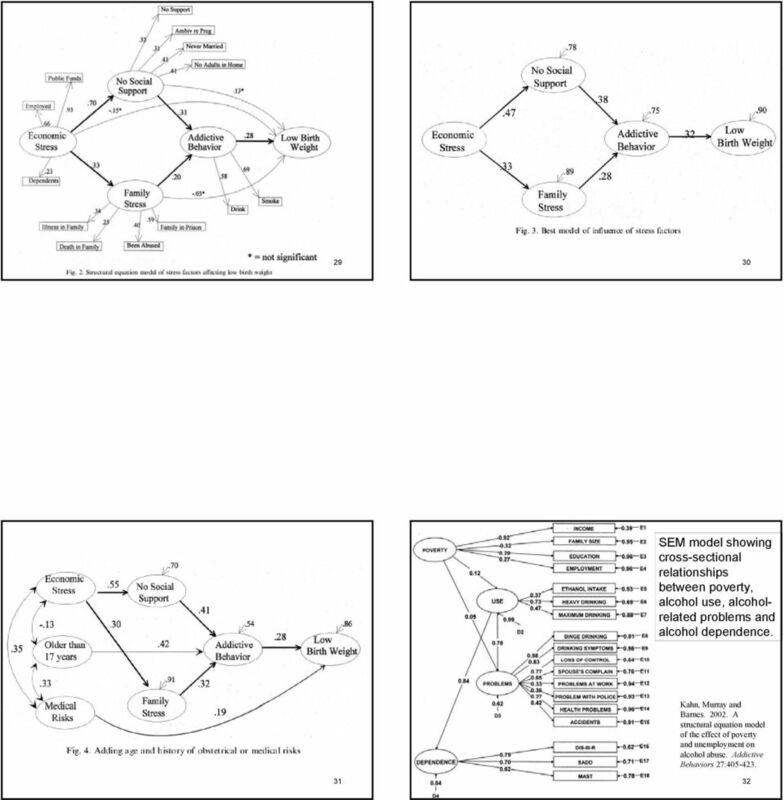 Analyzing structural equation models with missing data. In G.
11/20/2014. 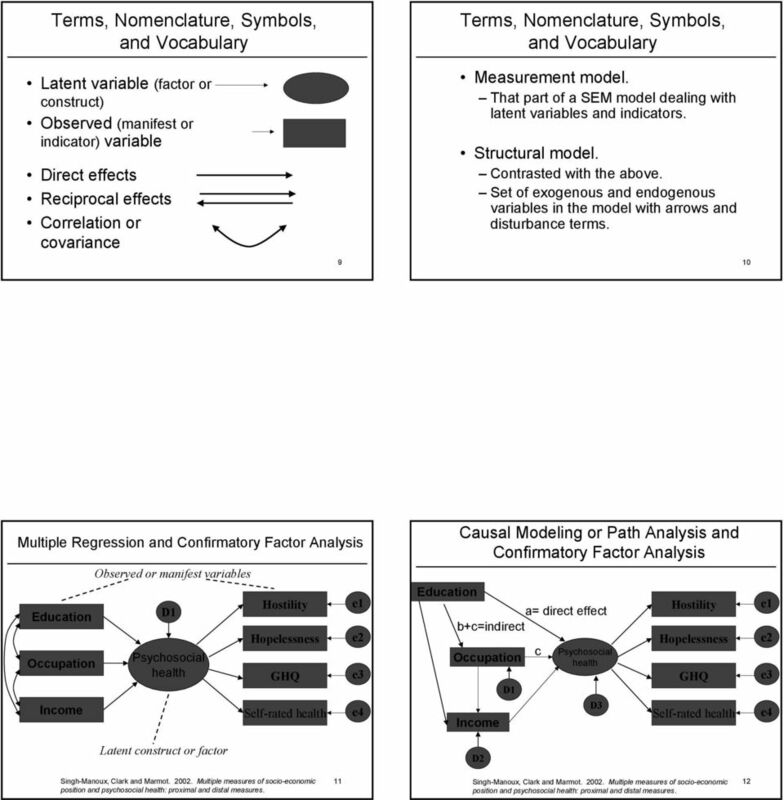 Correlational research is used to describe the relationship between two or more naturally occurring variables. 1. Complete the sentence with the correct word or phrase. 2. Fill in blanks in a source table with the correct formuli for df, MS, and F.